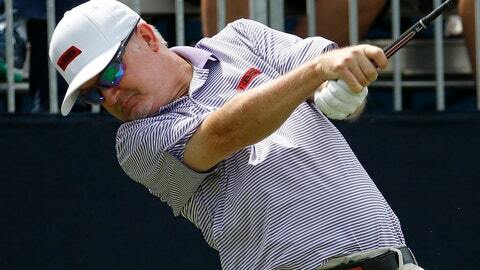 ST. LOUIS (AP) — Craig Bowden fits players for golf shafts. Both used to play this game against the world’s best, but now find themselves in a different place — having recently turned 50 and in the hopes of returning to a time when the thrill of competing was the reason they got out of bed in the morning. They are life members of the PGA of America, and as such, each is eligible to earn one of the 20 spots reserved for the club pros this week at the PGA. But don’t mistake Bowden and Uresti for the guys who spend their days rubbing elbows with members at the local pro shop. “I don’t have much of a golf life right now,” Bowden said. If things go well — not necessarily this week, but over the next several months — Bowden and Uresti will be making an appearance or two on the Champions Tour. Now that they’ve reached 50, both plan to play in Monday qualifiers and possibly go to Q-School in an attempt to get status. This is the fourth straight year Uresti has qualified for the year’s final major through the PGA professional qualifying event. Last year, he took some criticism on social media from those who argued he’d never stocked a sweater or taken a call for a tee time. Uresti doesn’t contest that point. All of which would get them … “more money for my wallet,” Bowden said.